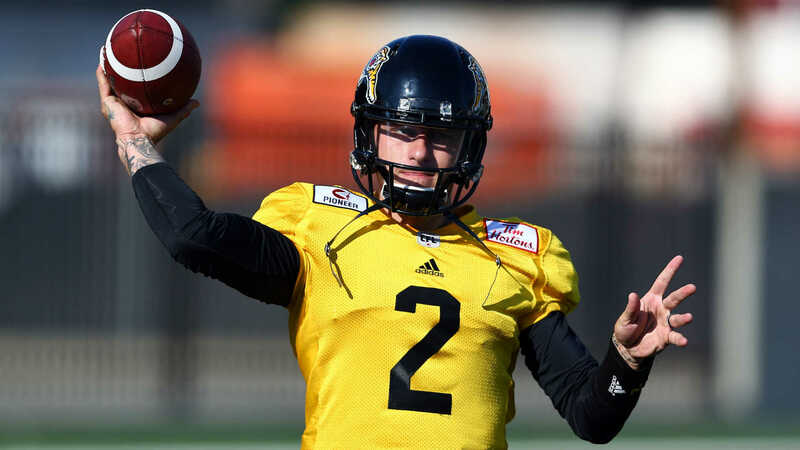 Johnny Manziel’s time with the Hamilton Tiger-Cats was short lived. The quarterback has been traded from the Tiger-Cats to the Montreal Alouettes, the teams announced Sunday. In addition to acquiring Manziel, the Alouettes also received offensive linemen Tony Washington and Landon Rice. In return, the Tiger-Cats got the Alouettes‘ first draft picks in 2020 and 2021, defensive lineman Jamaal Westerman and receiver Chris Williams. The move allows Manziel to reunite with Alouettes‘ head coach Mike Sherman, who recruited him to Texas A&M in 2012. Manziel, who signed with the Tiger-Cats in May, has not taken a regular season snap for the CFL team as he served as a backup to starter Jeremiah Masoli. He completed 12 of his 20 passes for 88 yards and a threw his first touchdown pass in Hamilton’s preseason victory over the Alouettes. Manziel, 25, played only two seasons with the Browns before taking time to deal with personal issues he was facing off the field. He was selected in the first round of the 2014 NFL Draft with the 22nd overall pick. He won the Heisman Trophy in 2012. His first game with the Alouettes will be Thursday, July 26 at McGill Stadium.